Peter Gray, a research professor at Boston College, is author of the recently published book Free to Learn (Basic Books, 2013) and Psychology (Worth Publishers, a college textbook now in its 6th edition). He has conducted and published research in comparative, evolutionary, developmental, and educational psychology. He did his undergraduate study at Columbia University and earned a Ph.D. in biological sciences at Rockefeller University. His current research and writing focus primarily on children's natural ways of learning and the life-long value of play. In his article, "Why We Should Stop Segregating Children by Age," he campaigns for the idea of mixed aged classroom. He states, "One of the oddest, and in my view most harmful, aspects our treatment of children today is our penchant for segregating them into separate groups by age. We do that not only in schools, but increasingly in out-of-school settings as well. In doing so, we deprive children of a valuable component of their natural means of self-education." When given a choice, children spend considerable time interacting with others who are older or younger than themselves. Age mixing allows younger children to engage in, and learn from, activities that they could not do alone or only with age-mates. Upper Elementary at Camp Willson! Calling all cooks! There is a sheet in the lobby where you can sign up to provide food for our hardworking teachers on the two conference days next week. Please volunteer to bring breakfast or dinner items. Thanks for sharing your culinary superpowers! Last week, MSBG welcomed the Northwest District Ohio Occupational Therapy Association for their quarterly meeting. 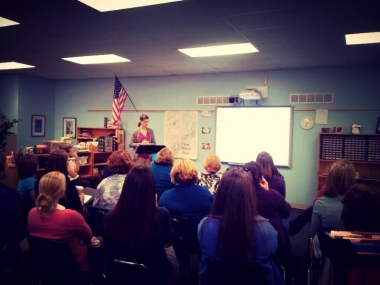 Miss Jess did a short "Montessori 101" and school tour while Mary Pollock presented on "The Relationship Between Montessori and OT Pediatric and Geriatric Practice." 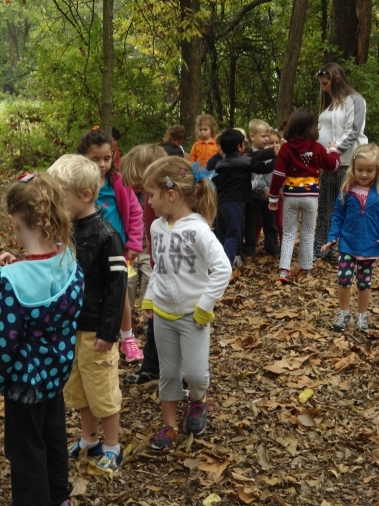 In Montessori methodology, 'peace' means three things: learning to respect yourself, learning to respect others and learning to respect the environment, both indoors and out." The Peace PALS program is where kindergarten through seventh-graders get together twice a month on Friday mornings. Each group of PALs has a mixture of students from each grade level. The students in the upper grades act as peer leaders and advisers for their group of six to seven students. We had a great turn-out for our first annual Fall Adult Social. Special thanks to our donors: Ben and Kristin Otley, AdaAestetics, SBX, BGSU Bookstore, Dave and Catherine Clawson, Danijela Tomic (BGSU Volleyball coach), Mark and Kate Balusik, the Myles Family, Woodland Mall Cinemax, BG Family Video, Al-Mar Bowling, Paul and Lisa Cesarini, Toledo Walleyes, BG Liquor Store, Chris Shepherd, Joe and Lauren Kostelnik and Campus Quarters! The event was a great time for all and it raised over $2,400 for the school. Our Fall Harvest Party is next Friday, Oct. 25, 5-8 pm, at Schooner Farms! Dress for an all-outdoor party, bring lawn chairs, and enjoy food, farm tours, and live music by the campfire after teacher conferences! ---Click HERE for the updated flyer. Our best advocate is YOU! 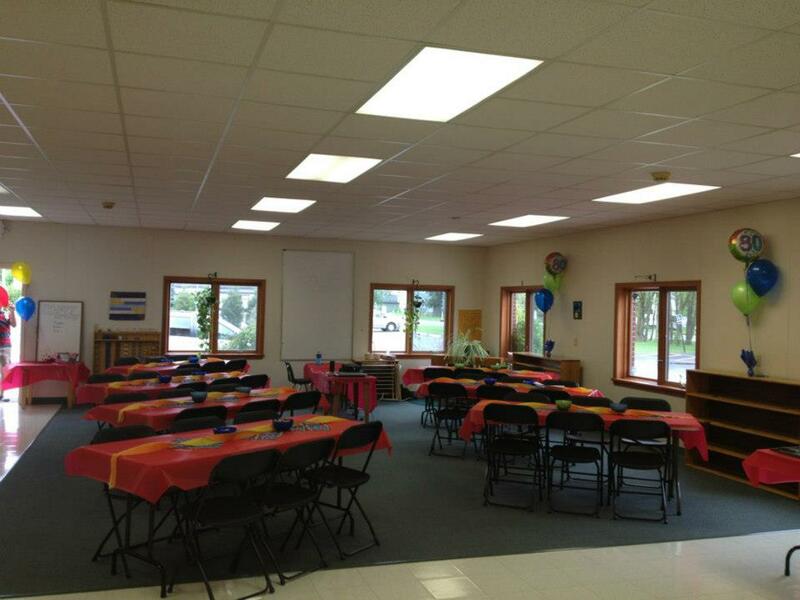 Please help us share the word about our upcoming Open House on November 5 from 8:30am-4pm. 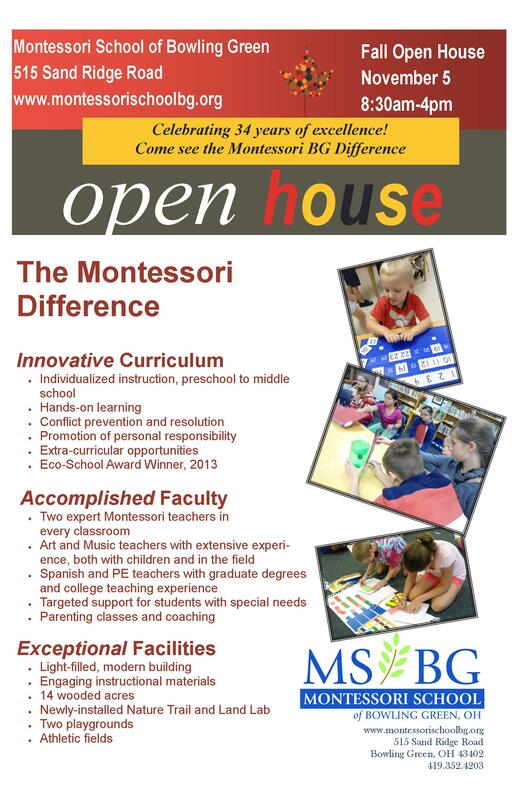 Or a tour can be schedule at anytime by calling the office at 419.352.4203 or emailing jessica@montessorischoolbg.org. Click HERE for the Open House flyer. The Born to Run (Community Reads Book) Adventure Race at BGSU is tomorrow. Click HERE for more information. BG Teen Central was hosting a Fall Carnival for children of all ages. This is now POSTPONED until April. Anna White has an opening in her in-home childcare. Click HERE for more information. The Ballet Theatre of Toledo's Nutcracker is Thanksgiving weekend at the Valentine Theater. The Harlem Globetrotters are coming to BGSU on December 30. 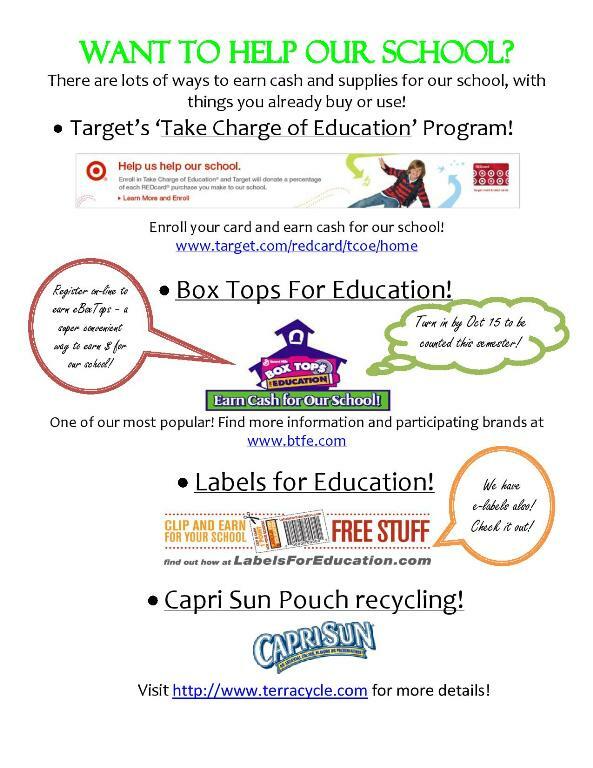 Click HERE for the flyer. Two of our families are selling their BG houses. Our Upper elementary students and teachers as they prepare for camp on Monday! A new parent talk session is underway!